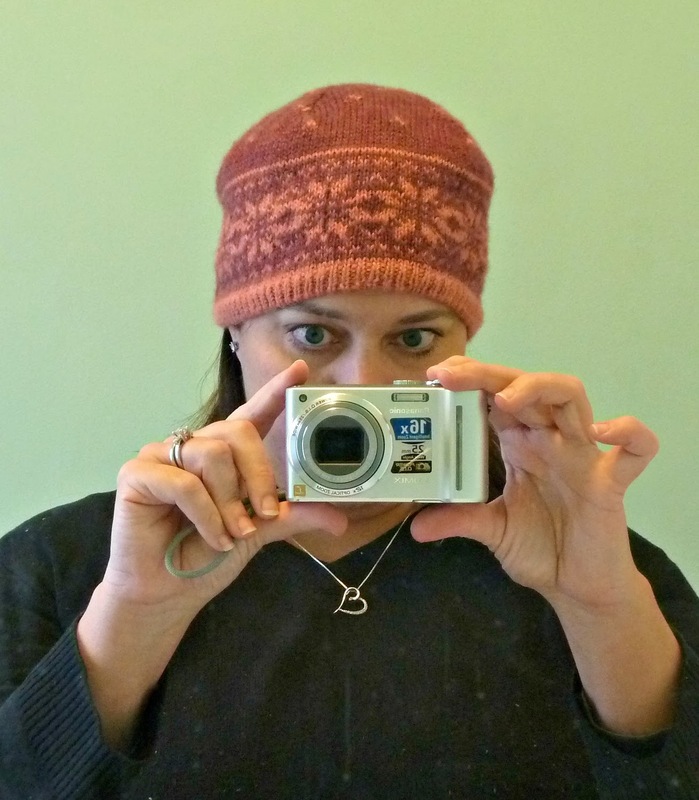 I finished this hat a while ago but the only thing harder than taking pictures of quilts in the winter is taking pictures of yourself... the planets finally aligned so that I could bribe recruit a photographer when it wasn't snowing/raining/dark. The pattern is Griffith Park by the adorable Meghan Dougherty. It's the perfect complement to my favorite Anna Maria Horner Coreopsis infinity scarf. I picked up this Road to China Light to take on vacation... knitting is a bit more portable than quilting. It's amazing how much you can get done on a 3 hours flight. 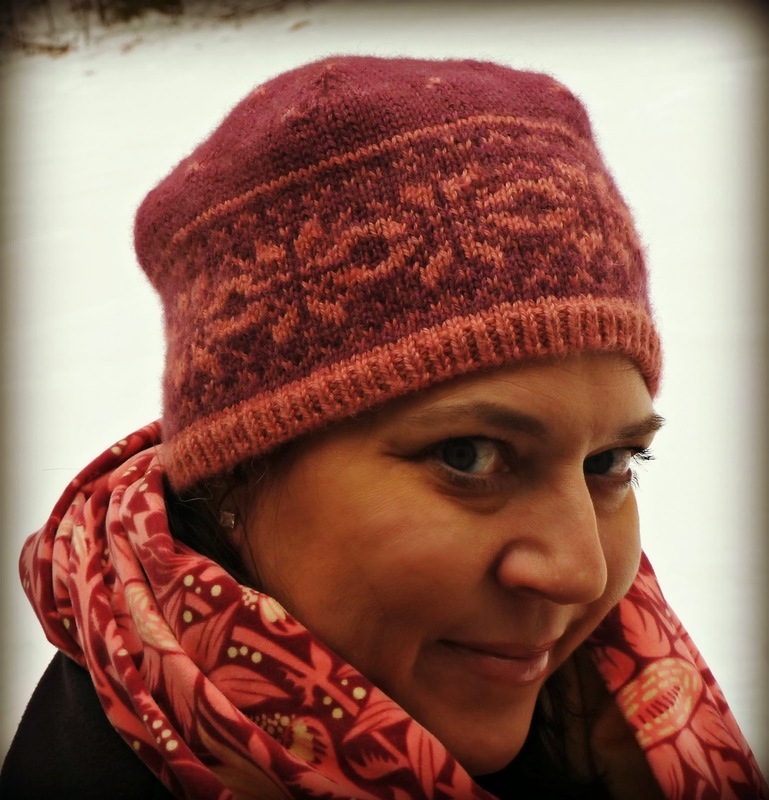 The charted color-work pattern was easy to follow and the double thickness of yarn makes it so warm... definitely what I needed this winter! I absolutely adore this yarn... it is so soft and snugly!!! I decided to try a provisional cast on using this tutorial at knitty.com. It was a little tricky to get the hang off but it came out beautifully! I'm still not very good at getting the sizing right. 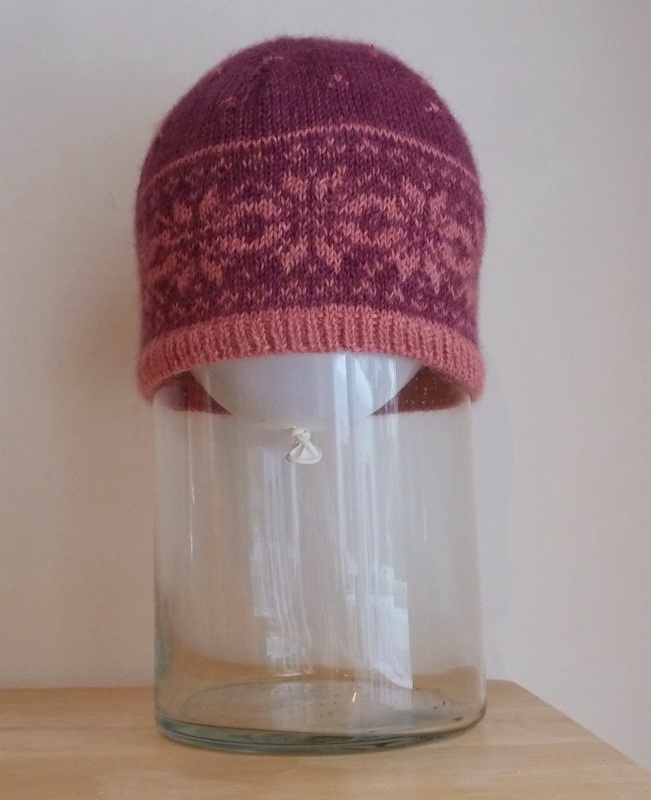 The issue isn't that I'm not knitting to gauge, it's just that my head is too small. If I did it again I'd skip a few rounds between 32-37 where the contrast stripe moves to the 3 stitch clusters. 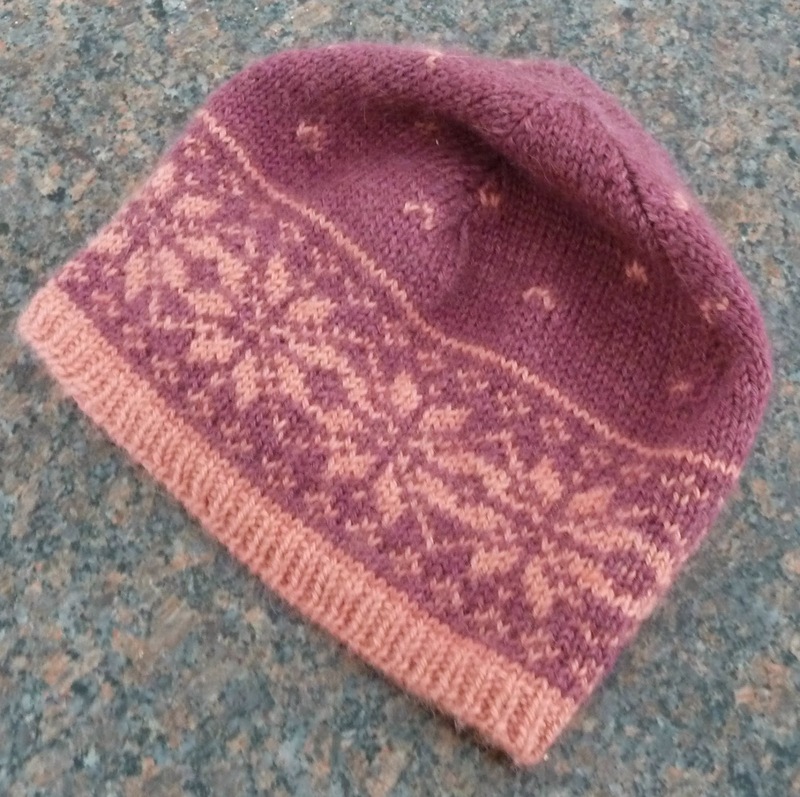 I've never blocked a hat before but the knitting police require it and I was hoping it would shrink down a bit. My kids thought it was hysterical to see a balloon wearing my hat and it did make everything meld together nicely. Joining the fun at Finish it Up Friday with Crazy Mom Quilts. Wow! That is a beautiful hat! I am so impressed that you made this! Now, truth be told, I am new to knitting and getting two rows consecutively with approximately the same tension is a MAJOR accomplishment. So impressed! Well done with your knitting - I'm impressed! Lovely hat! And a cute selfie too! What a pretty hat. It goes perfectly with your scarf. Nice work! The colors are so pretty. I did some plane binding myself. Makes the trip go by quicker!